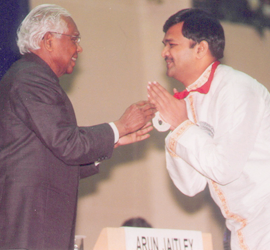 The President's award from the All India Radio in 1990. 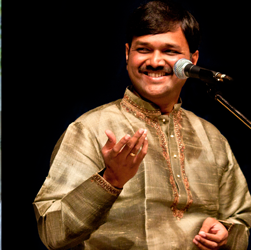 Sanjeev has performed in over 200 different cities in India and abroad - U.S.A., Canada, Australia, Europe and the Middle East several times. He has several albums by reputed music companies like Times Music, E.M.I Music, Sony Music, Navaras Records U.K., Music Today, H.M.V, Neelam Audio Videos U.S.A., Sona Rupa U.K., Ninaad Music and Fountain Music which have been highly acclaimed all over the world. His talent as a classical composer is obvious in the numerous classical and devotional compositions that he has set tune to. Many of them are available for free download on this website for music lovers to enjoy.